Four years of community process and public input have come to a head with a Capitol Hill Station “coordinated development plan” for the more than 100,000 square-feet of Broadway property above its subway that Sound Transit is about to start the process of selling off to the highest, most qualified bidders. Or, bidder, for that matter. A public meeting to discuss the development plan will be held Monday, September 24th from 6 to 8p at Lowell Elementary School. CHS reported on the final steps this summer to forge the agreement between Sound Transit and the City of Seattle for the five sites stretching along Broadway from John to Denny that the public transportation agency is slated to begin taking bids and proposals for next year. 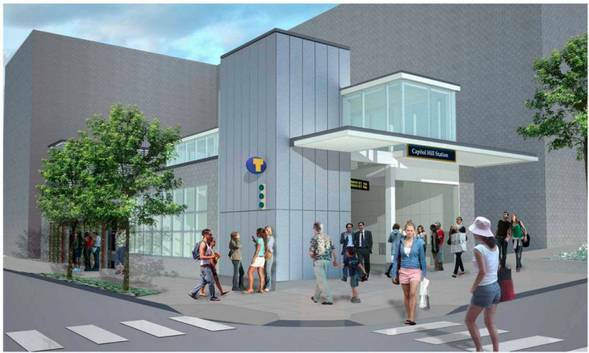 The goal is to have deals locked up by 2014 so construction can be started in time to have the new buildings open for the start of light rail service on the new line when planned operations begin in late 2016. At market rates of between $350 to $400 per square foot, the five sites — labeled in the diagrams presented in the plan as A, B-South, B-North, C, and D — could fetch Sound Transit upward of $40 million on the open market. The opportunity to develop the sites in conjunction could command an even steeper premium. Screen shot 2012-09-12 at 5.00.22 PM, originally uploaded by jseattle. As part of the agreement, the City of Seattle will allow the project to stretch to an 85-foot height limit — with a minimum height of 74′ 11″. Officials said going any higher would have moved the project beyond expensive fire safety thresholds. The height — some 45 feet above the current maximums for the 10th Ave E neighbors of the project — helps the development plan make space for community goals driven by the city’s design framework while providing enough units for developers to profit and provide affordable and low-income housing in the project. Screen shot 2012-09-12 at 4.59.13 PM, originally uploaded by jseattle. Of the more than 400 units possible across the five sites, the plan currently calls for 36% to achieve the city’s affordable housing mark — 50% of the area’s median income, or around $30,000 per year for a one-person household. The total could climb to 46% if Site D is developed in conjunction with Seattle Central Community College as student housing. The agreement mostly leaves how these affordability goals are achieved to the bidding developers but there are stipulations. 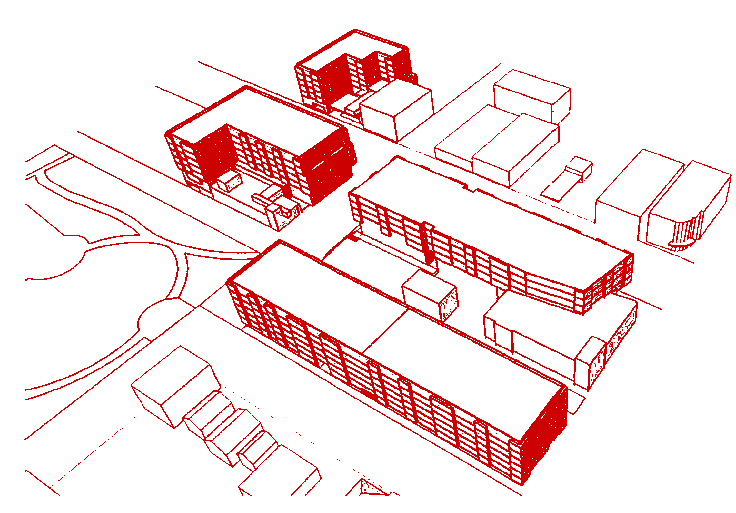 Site B’s north section on 10th Ave E at E John, for example, is required in the agreement to be developed as a low-income project for households making 50% or less of median income. Despite their residency above a sparkly new public transportation hub, the people living in these future developments will indeed have parking options. 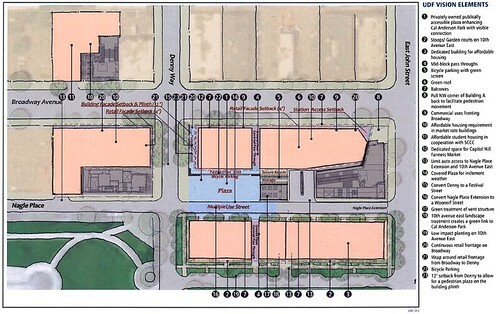 The agreement does not prohibit inclusion of residential parking and limited retail parking by the bidding developers. Physical space will be one constraint as the light rail station box below ground will prevent multiple levels of underground parking. The agreement does prohibit development of parking for transit riders. Meanwhile, it is expected there will be space for 266 bike stalls as part of the developments. The sites also present a combined injection of 45,000 square-feet of retail into the area with the plan calling for tall first-floor windows for what is hoped to be a premier Broadway street level commerce opportunity. The coordinated plan also calls for developers to make room for a new home for the Broadway Farmers Market in a central plaza. The privately owned space will be required to provide public access 16 hours a day, per the agreement. CHS has reported on the plans for the new market space and hopes the farmers market can expand to be part of the plaza year-round and on multiple days of the week. Screen shot 2012-09-12 at 5.00.40 PM, originally uploaded by jseattle. The plaza will connect with a transformed E Denny Way that will be restricted to westbound traffic only and redesigned as a festival street for events where activity can spill over from the market plaza. Screen shot 2012-09-12 at 5.02.13 PM, originally uploaded by jseattle. 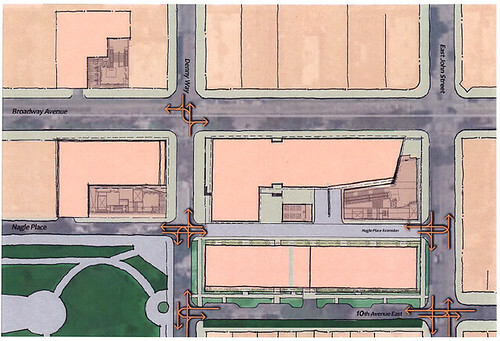 The agreement also lays groundwork for mid-block crossings through the buildings designed to connect Broadway more completely with nearby Cal Anderson. Like the plaza, the pass-throughs will be private property required to be open to the public 16 hours a day. 10th Ave E, meanwhile, will see “green street” improvements as developers will face design requirements calling for ground floor housing with stoops. Those “hopes for a (really tall?) LGBTQ civic center” in the project are still alive and well. The agreement calls for bidders to be awarded bonus points for including plans for a “community center” as their proposals are quantitatively measured. Officials say what exactly a community center entails is still to be hammered out but CHS reported on this City of Seattle recommendation that an LGBTQ facility be included in the light rail development and a group spearheading an effort to create such a center was awarded a $7,000 grant earlier this year. You can see how other community priorities are reflected in the agreement requirements in this diagram. Click for the larger viewing options. Following the September 24th community meeting, a host of public process follows including a possible series of public hearings on the agreement before the City Council can give the deal its stamp of approval. If all goes well, the “request for quotation” call can go out to start the new year. Further into the future, the public process will start again with a simplified design review allowing community input on the designs brought forward by winning bidders. The near-term schedule is below. 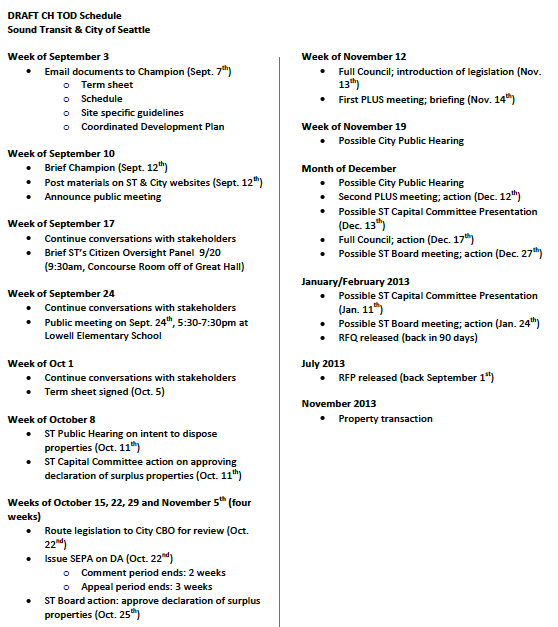 For all of the fine print and nuts and bolts, read through the 15-page Draft Term Sheet (PDF). 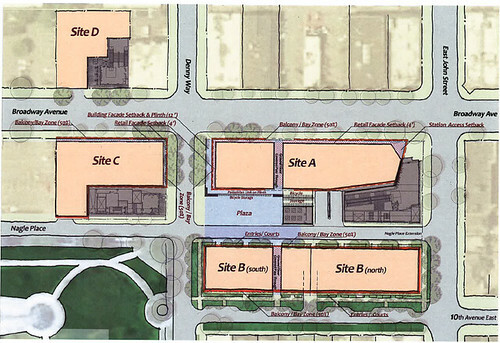 You can review all the Capitol Hill Station transit oriented development documents here. 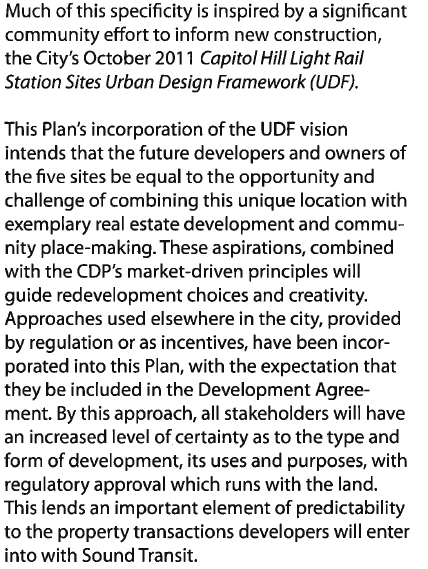 We’ve embedded the Coordinated Develop Plan document, below. Excellent reporting, details abound. Much needed. Fire safety thresholds for over 85 feet? You mean that you have to use actual structural materials like concrete instead of paper-mache to build? Yeah right. When is Capitol Hill finally going to get some nice modern buildings? Seriously. Why doesn’t the city let the developer decide what’s too expensive? 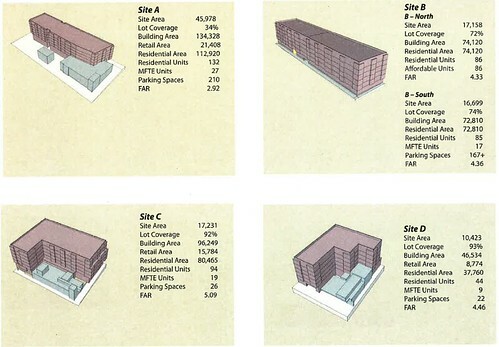 I don’t understand why there are so many parking spaces proposed, it looks like there are more spaces then units. Isn’t this development sitting on top of a light rail station? Because people who live there will still need a place to park their cars. Light rail will be a nice option but won’t eliminate the need for a car for all future residents. Great coverage as usual Justin. I’m sure you’ve written more about TOD at CH station that anybody else in town. To answer a couple questions – the Plan is the best estimate of what the market may be responsive to while addressing the priorities that the neighborhood has made clear through years of collaboration. As for parking – the numbers for the residential areas are not a requirement, they’re estimates. The plan does have a .7 per unit max but if the market thinks zero per unit for any of the sites pencils out, OK.
As for what takes so long – that’s one we get a lot. We can’t turn over the development sites until our contractors are done building the station and all that that entails for construction staging and access. The tunnel mining is finished, now they’re wrapping up cross passages between the tunnels. Next comes a new rail bed, new rails, power, communications and safety systems, the actual station(s) construction and lots of live train testing. We’ll be out at Lowell next Monday night with lots of people to answer these and whatever other questions you may have. Hope to see you there. Correction – the next public open house/meeting is the 24th, a week from next Monday. we all know developers will always keep what is best for the neighborhood in their hearts. welcome to libertarian utopia. loyal opposition and skepticism isn’t about so-called NIMBYism – that’s not a discussion, its name calling. the smell of money is in the air. Um, you must not be from around here….this is actually quick for us. Remember. We spent 400 million dollars and 14 years just TALKING about what to replace 520 with before we broke ground. After the Nisqually quake in 2001, the viaduct was determined to be an unstable disaster waiting to happen….and we spent 10 years arguing about what to do about it as 100,000 cars drove on it every day. Light rail started and stopped multiple times starting in the Mid-90’s, and really, has been discussed since we put the monorail in back in ’62. Four years is the blink of an eye for us out here on the left coast. I didn’t see any proposal for a number of parking spaces, just a note that they aren’t prohibited. Did I miss something? The article says 266 Bike Stalls…. 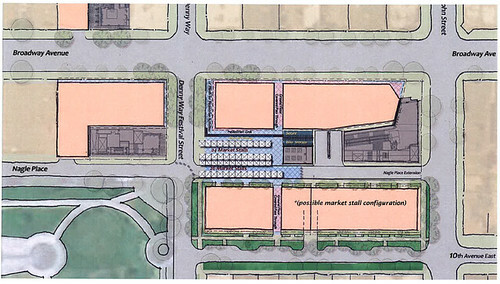 A plaza for a Farmer’s Market over a light rail station? I can see all the loitering homeless drug addicts taking over the space now. Isn’t there any room in all these plans for a relocated Post Office? Incorporate some parking (one of the complaints about the current location) along with the rest of the parking, and you could place the PO lobby/service desk on the back side (it doesn’t HAVE to be on Broadway) or even on a second floor with escalators going up. It won’t be any worse than the plaza in front of the community college. neighbor, you’re right that light rail won’t remove the need for a car for some residents, but really, of all places, why would someone pay the premium of being so close to light rail (because property values are going to be huge here) if they own a car? They should be working hard to attract residents that don’t own a car because this is THE best place for them to live and even with parking this is just about dead center Capitol Hill and not a fun place to drive around. I’m not saying there should be ZERO parking, but between the streetcar and the subway literally directly below you, it should be very nearly zero. What the hell are you even complaining about exactly? What should be here instead, a big hole? Or a big grass field, exactly like we’ve already got in abundance several yards away at Cal Anderson? Of course this is going to developers – who wouldn’t want to live right by the rail station? The Post Office is leasing it’s current location – It’s feasible that they could rent in one of the buildings that goes up. Although I doubt it’s an ideal situation since there won’t be space for parking and rent will probably be pretty high, so in reality it’s probably better for the post office to move south a bit or down the hill toward I-5. I’m afraid that you are bringing so many new cars into the neighborhood and you aren’t providing enough parking for this. It is going to spill over into the surrounding neighborhood and cause undo congestion for current residents. Point no. 2, Denny Way needs to be a thoroughfare again, not restricted to west bound traffic. Please, quit screwing with the neighborhood.